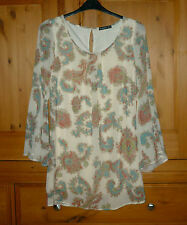 tunic dress size 16 stretch fabric any questions please feel free to message.. Please view my other items..
Black & cream floral tunic style dress in size 12, easy care, non crease, worn once ony & in excellent condition, length is 34 inces (shoulder seam - hem). 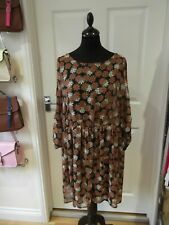 Ladies multi polyester tunic dress. This dress is a super soft fabric with a check pattern. Two pockets. Excellent condition. IT IS IN A LOOSE FIT SMOCK\TUNIC STYLE. 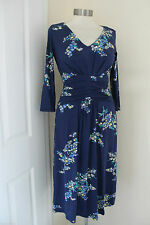 GORGEOUS, FEMININE LOOKING DRESS FROM. "ATMOSPHERE". Sheer black beach pool cover up tunic from Atmosphere in size 10. It has a silver & black swirly embroidery detail with scattered sequins and side slits. 100% polyester. LENGHT OF SLEEVES 18". PIT to PIT 21". FULL LENGTH 33". 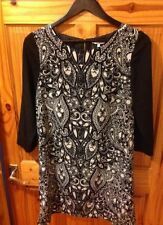 Womens Dress Size 14 From Atmosphere Primark Little Black Dress 3/4 Sleeves. Condition is Used. Dispatched with Royal Mail 2nd Class.